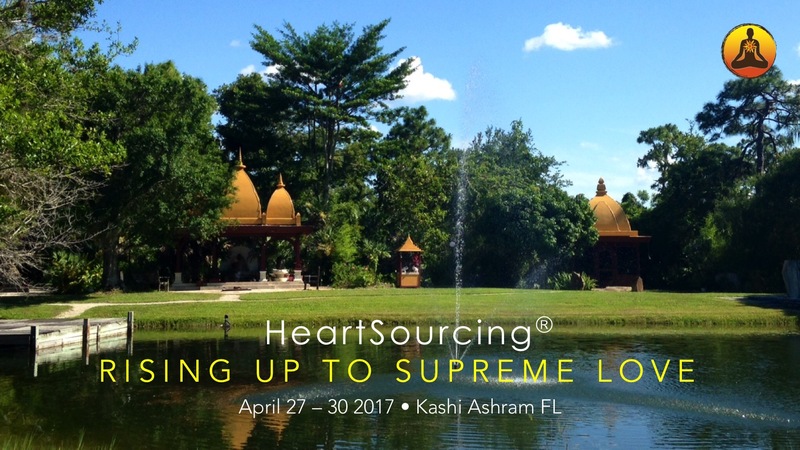 We are excited to announce our April 27 – 30, 2017 all-inclusive Retreat at Kashi Ashram in Sebastian, FL, Ramgiri’s home for 25 years. 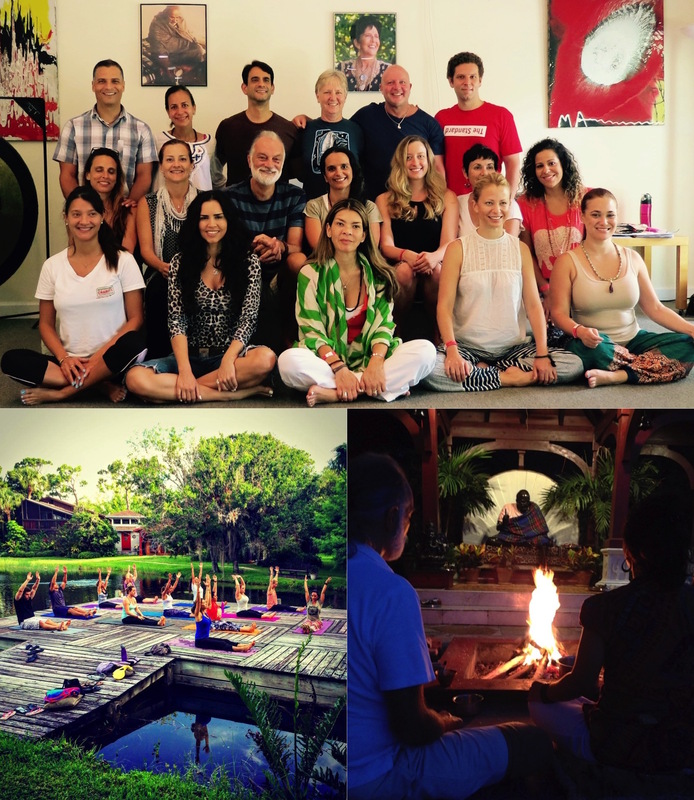 We hope that you will join us for a deep-reaching Bhakti Yoga retreat in this hidden oasis. Kashi is a peaceful, bio-diverse and lush paradise in Florida. Through HeartSourcing®, chanting, story telling, ritual, meditation, yoga, satsang and feasting we will evoke the sacred presence of the divine Beloved in us and as us. You ​will ​plant, ​cultivate ​and ​celebrate ​the ​root ​of ​Self-love ​to ​heal ​and ​nurture ​yourself. This wholeness will effortlessly repair and enhance relationships and touch others in your world. HeartSourcing® is a powerful way to free yourself of your ego programming in the vast and kind presence of absolute forgiveness, embodied in the divine Beloved who is your true, timeless identity. In this way you become part of the mystical heart of universal love. It will free you of fear, because in this love you cannot be hurt. And you can have this love at any time; you cannot lose it because it is the very Source of your being. This long-weekend retreat is designed for anyone who feels a yearning for understanding and experiencing love in a much deeper way. We will get there through song and ritual, and by directly nurturing us from the hridayam, the core of the heart. In this devotional mood we will spend time in silence and contemplation while being surrounded by nature. Personal support and mentoring by Ramgiri and Durga to help you in your quest is also available. • Healthy, delicious vegetarian meals made by Kashi Ashram’s chef Swami Rudra Das. Rudra’s Kitchen uses the highest quality ingredients, hand–crafted with care and love. • Time alone to be in nature exploring the ashram grounds, journaling, contemplating or simply walking! * The accommodations at Kashi Ashram are simple and welcoming. Lodging will be of a shared bathrooms style, except where noted. If you need a greater sense of privacy, Kashi will do their best to satisfy that. * Please bring your yoga mat and meditation cushion. Also a notebook/diary to take notes and to journal. 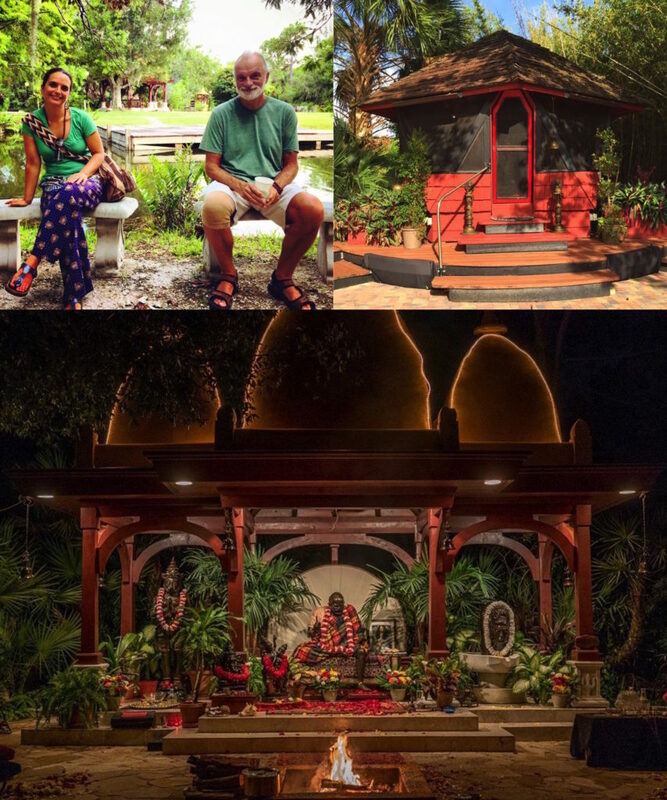 • ​SPECIAL ​BONUS: ​As ​a ​participant ​in ​this ​retreat ​we ​will ​offer ​you ​a ​$200 ​discount ​to ​join one (1) of our three (3) ​2-week ​HeartSourcing® ​Immersion ​Retreats ​in ​Kainchi ​Dham, ​India ​during ​September ​and ​October ​2017. ​Kainchi ​Dham ​in ​the ​foothills ​of ​the ​Himalayas ​is ​the home of the ​sacred ​ashram ​of ​Neem ​Karoli ​Baba, ​Maharaji, ​one ​of ​the ​greatest ​masters ​of ​bhakti ​yoga ​in ​our ​time. *Presenters ​reserve ​the ​discretion ​to ​make ​minor ​changes ​to ​the ​schedule ​if ​necessary.